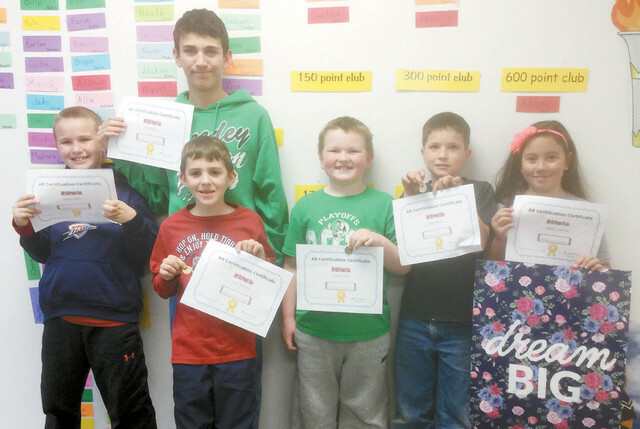 Leedey students achieving AR goals: Jackson Mann 50 points, Rie Branson 50 points, Wyatt McIntyre 50 points, Coulson Gore 125 points, Heath Nance 50 points, and Isabella Chadrick 10 points. Keep it up!! !